Before upgrading the tires on your Toyota 4Runner, you will first need to identify the correct size of the replacement tire. So, you're considering upgrading the tires on your Toyota 4Runner but have some lingering questions about how to identify the correct tire size for your truck? Well, don't worry! There are a number of options out there when it comes to properly sizing a new set of tires for your truck, including a myriad of easy-to-use online calculators designed specifically for this purpose. Armed with just basic information, you can upgrade the tires on your truck and be well on your way to enjoying your next off-road adventure or other interesting activity. Skill Level – Easy; You just need a lug wrench and a jack. This is the cheapest and easiest way to modify your truck. For the 4Runner, it's recommended that you go with a high performance tire such as the Cooper AT3 or Cooper ATR. Both tires are favorites among 4Runner owners and are priced between $140 and $180, respectively. As well, both tires feature quality treadwear for safe, comfortable and dependable "all-season" driving. They each offer traction in the rain and snow and hold up remarkably well when traveling over harsh, off-road terrain; however, you will want to upgrade to a high performance mud tire if you'll be doing quite a bit of off-roading in your spare time. Skill Level – Easy, but you might need someone to help you with the rear bumper assembly (removal and installation). This is the rather straightforward modification that requires only a few steps and only a handful of tools/materials. 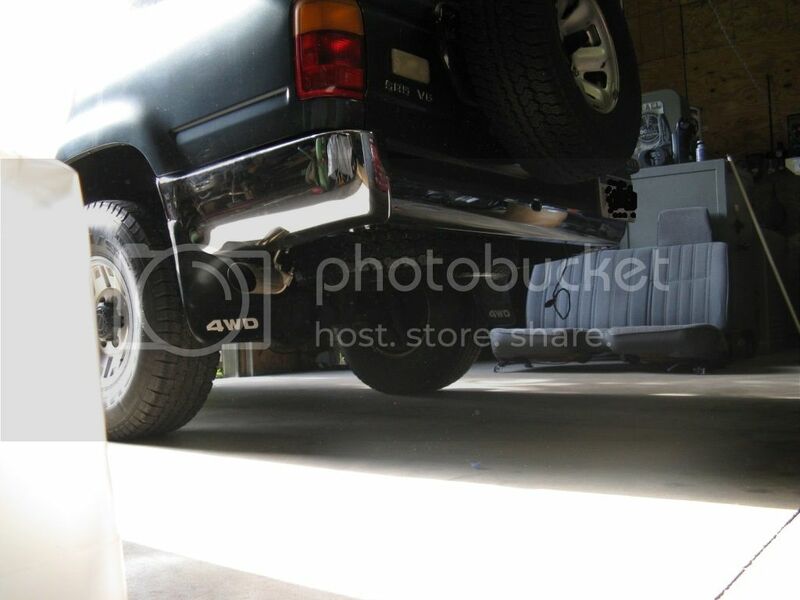 The biggest step will be in removing your current hitch and rear bumper assembly. Once this is done, you will need to swap out the center section that is left in place. Then, you will need to install your new bumper assembly, which might require some assistance from a friend or helper. Install your new carrier assembly using the bolts and brackets provided with your kit. Skill Level – Moderate; you'll need to jack up your truck and install the springs using various bolts, which will be included in your kit. Upgrade sagging rear springs for an overall improvement in ride quality and handling. Potholes should seem to disappear under your tires. Word of caution: You might initially receive a lift of up to several inches, only to lose about an inch off that once your truck settles. This is normal. 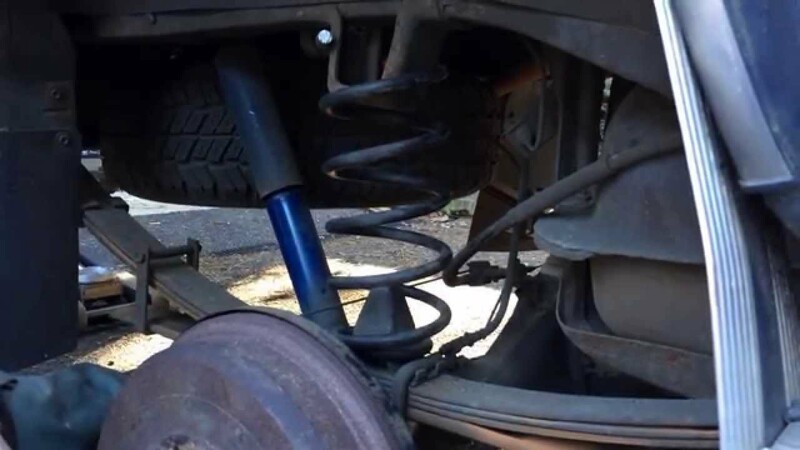 Add springs in the back and shocks all the way around for the most noticeable upgrade. A number of tire companies, including BF Goodrich, offer free tire size charts that you can use to quickly and accurately determine the correct tire size for your truck. Tire size charts are typically organized by wheel size with sizes ranging from 13 to 30 inches. You will need to know your tire diameter to get started. For example, "Is your tire 21, 22, 23 or 24 inches in diameter?" Tire size charts by diameter are also available and work largely the same way as tire size charts by wheel size. Simply plug in your numbers (e.g., wheel size, diameter) and then make the appropriate tire selection. Word of caution: Avoid making estimations about tire size and tire size difference. Stick to an online calculator for accuracy. There are also calculators available that calculate your miles per hour (MPH) after switching to a set of bigger tires. The traditional formula is: diameter of factory tire minus diameter of aftermarket tire. If your aftermarket tires are 5% bigger than your factory tires, then you should be able to drive at a rate of 5% faster. For mileage calculators, the traditional formula is: divide the difference in circumference, and then multiply that number by your current odometer reading. Tire and gear calculators are also available online. Count the number of teeth on each gear, and then divide those two numbers to determine your gear ratio.